Today’s youngest generations, including millennials (early twenties to mid-thirties) and Generation Z (teens), grew up eating at restaurants. You may know one of them, be a parent to one, or be one of them yourself. Because of their strong purchasing power and influence with their parents, these two groups are driving change in dining experiences. As their tastes and expectations continue to evolve, restaurants have a sure-fire way to connect with them: technology. Young millennials and Generation Z grew up with total access to online information. They don’t know a world without the Internet or social media. Technology is a means to communicate, not an escape, as it has been for previous generations. They use social media to share events in real time, and they are willing to trade privacy for better experiences. Eating out is not a special event; it is a social event. It may be surprising to learn that 32% of millennials say technology factors into their choice of quick-service restaurants. Twenty-eight percent say that technology factors into their choice of table-service restaurants, according to a 2016 NRA Restaurant Industry Forecast. According to the Generational Consumer Trend Report, 68% of Generation Z consumers already eat out once a week. They are digitally connected, and they expect to be able to connect with everyone else in their world anytime they choose. Restaurants connect with these two groups by extending the dining experience outside the walls of their store. Here are a few ways they are using technology to engage with the younger generations. Using a kiosk and digital table ordering fulfills young diners’ need for instant access and control over transactions. Innovative self-serve options save time, help restaurants reduce the numbers of errors and combat rising labor costs. Diners want to be able to view menus online on a mobile-friendly website. In fact, 50% of guests use mobile devices to look up restaurant menus on a monthly basis. Going mobile allows restaurants to link ordering, payments and loyalty programs, creating a frictionless experience for guests. Mobile payment options and tableside payment stations are gaining acceptance. You can pay when you’re ready to leave, which lead to quicker table turns and increased satisfaction, revenue and tips. According to the NRA forecast, 39% of consumers would pay with an app if it were available. More and more restaurants use mobile engagement to show they care for their reward program members. Emails and phone numbers provide a direct link to guests, but guests will only read messages that are interesting and relevant. The volume of data gathered when guests order online allows restaurants to send more personalized messages. For example, if Ted enjoys a free strawberry milkshake with his meal on Fridays, a restaurant can send him an offer for a free milkshake with his meal once a month. Brand marketers can create invitations for a lunch regular to come back for a happy hour or dinner special. Customized messages endear guests and create raving fans. 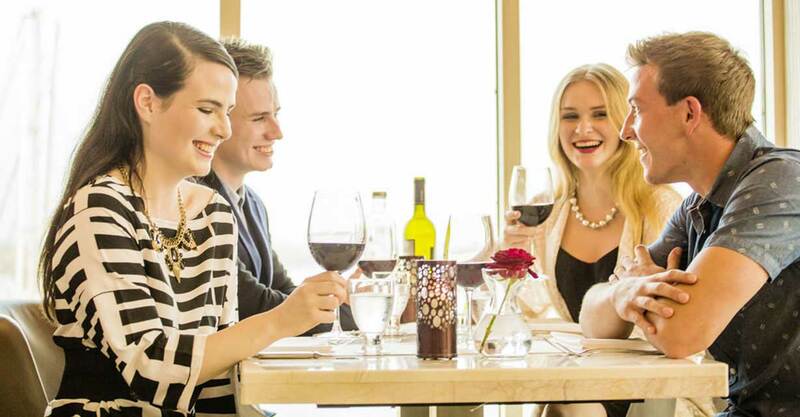 It is vital that restaurants engage on social media. One-fourth of restaurant guests (and 44% of millennials) take photos of their meal to share. Recent data shows that 22% of guests shared positive reviews on social media vs. 12% who shared negative feedback. Even if children are too young to drive to restaurants, they are great influencers. Since a majority of their information comes from social media, it is imperative to be a part of their online conversations. According to the 2016 NRA Restaurant Industry Forecast, 80% of parents of Gen Z-ers choose restaurants based on their children’s suggestions. 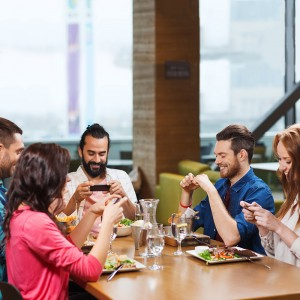 Restaurants are finding that offering free Wi-Fi plays a significant role in the restaurant choice of both millennials and Generation Z. Even though these guests are eating lunch with their friends, they’ll still be communicating to their friends on their mobile devices! Restaurants who build strong relationships with millennials and Generation Z will create customers for life. Technology can help restaurants connect with younger guests and give them what they want. To find out what’s keeping restaurants from embracing mobile guest engagement, visit our blog article here. Tierney’s are Ireland’s preferred re-seller of NCR Aloha Point of Sale and Orderman handheld devices, contact us today for a full demo and no obligation quote: sales@tierneys.ie.